Everyone is scared of spiders. Spiders and public speaking. Those are the two fears that really unite us, I think. But you know what we should really be scared of? Falling. And I don’t mean falling out of an airplane or something dramatic like that (although that is also scary and I kind of wish I hadn’t mentioned it now, thanks me). I mean everyday falling. Hitting your toe on the corner of the table and landing on your knees. That kind of falling. When you’re a kid, falling is an inconvenience (that’s where our lack of fear comes from, I think). But as you get older, a single fall can change your life. As you age, your bones become more fragile, your muscles more rigid. The fall can hurt a lot more and it can be a lot harder to get back up. So when you’ve fallen and can’t call for help, it’s a real issue, and it’s kind of a shame that a lot of people joke about those memorable commercials. Okay, so we’ve established that falls can be a big deal. The question is, what can you do about it? Well, this is where technology can come rushing to the rescue. There are, of course, medical alert systems. But these days, medical alert devices are built right into some of the newest and most innovative hearing aids. We’re all familiar (more or less) with step-counters, right? Whether you’re familiar with FitBits, Apple watches Garmons or other fitness devices the technology is very similar. The same technology that helps count your steps has been incorporated into hearing aids. So now, hearing aids can count your steps and detect a fall. Even better, there’s no need for additional technology. As long as you remember to put i nyour hearing aids you are covered. They sync up with an app on your phone. The app on your phone sends an alert to up to three emergency contacts (depending on your settings). The emergency contacts can then either check in with you or come and help you. This medical alert setup will work as long as you are within Bluetooth range of your phone (this usually covers most of your home). You don’t have to have your phone next to you in order to call for help. The app will do this automatically. This is clever in two important ways. First, the hearing aids are configured to detect false alarms (for example, both hearing aids must fall in order to trigger the alert, so you don’t have to worry about dropping a hearing aid and triggering an alert). Second, the app sends a message to emergency contacts, not to emergency services (this is designed to make you feel a little more comfortable using the app and give you a bit more control over how the situation is handled). 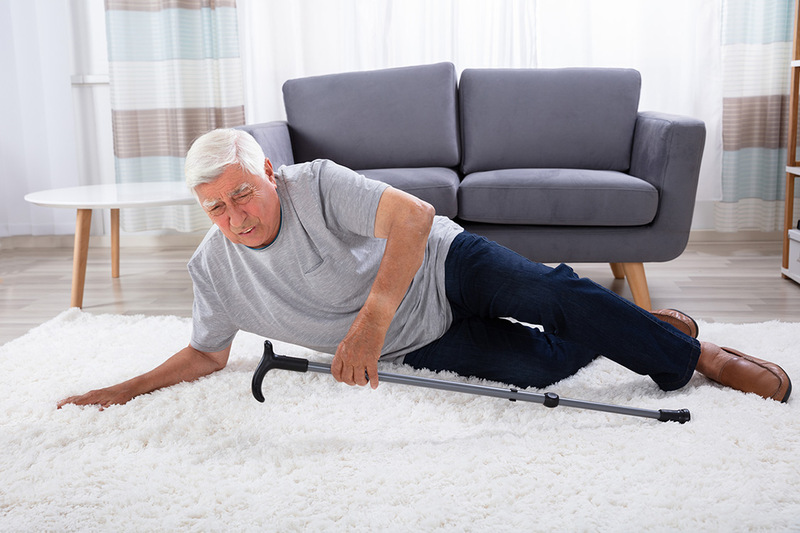 Knowing you’ll get the help you need can make falls much less scary. (No movement yet on the spider issue, however.) But it’s really the tip of the iceberg when it comes to integrating hearing aids into your life in amazing ways. Just think, modern hearing aids can double as headphones, reroute your phone calls, and track your fitness. They can also help monitor your interactions with other people. Because that’s really what makes a fall–and independence–so dangerous: the isolation. Your hearing aids can help you interact with others and get you help when you need it. One in four Americans over the age of 65 falls every year. It happens. Getting attention early can sometimes mean the difference between a minor bump and a big situation. So if you’re going to be wearing hearing aids anyway, it makes sense to have some technology built in that’ll keep you safe and independent at the same time. Guess what else hearing aids can do? Find out here.